These tranquil songs feature a truly unique style of worship which originates from the iconic community in scenic France. Taizé Reflections Vol 1 contains 30 classic Taizé compositions on 2 discs. Taizé is the name of an ecumenical Christian community in France, which draws multitudes of young adults every year for meetings centred on prayer using a characteristic style of singing. The songs on this album were recorded at various locations in the United Kingdom. 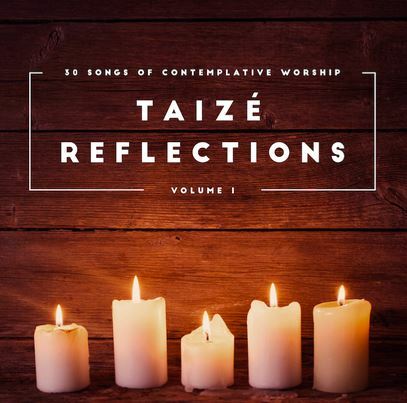 Taize Reflections 2CD by Various was published by Integrity in January 2016 and is our 1699th best seller. The ISBN for Taize Reflections 2CD is 0000768660928. Be the first to review Taize Reflections 2CD! Got a question? No problem! Just click here to ask us about Taize Reflections 2CD. Now Playing: O Lord Hear My Prayer Your browser does not support the audio element.